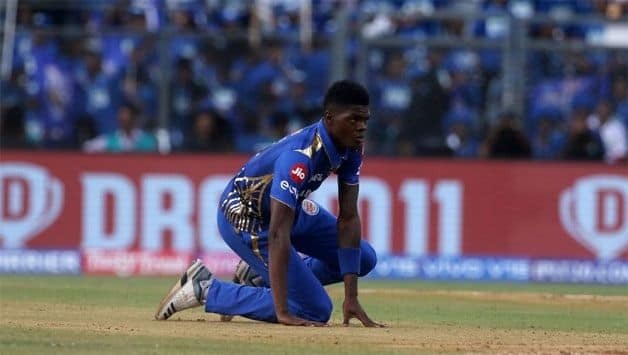 Alzarri Joseph, the West Indies quick is likely to take no further part in the IPL 2019 after sustaining a tear in his right arm. 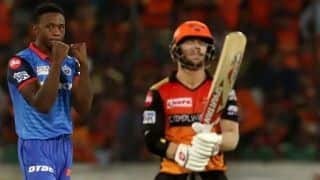 Joseph, 22, picked up the injury while putting in a dive to save a boundary at long-off during Mumbai Indians’ game against Rajasthan Royals, which they went on to lose by four wickets. 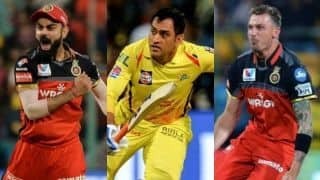 As per a report in ESPNcricinfo, Joseph dislocated his arm and which has cut his season short in all likelihood. 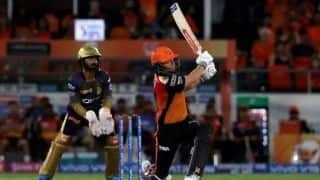 Joseph was flown in as a replacement for New Zealand’s Adam Milne, who was first bought by the three-time winning franchise for Rs 75 lakh. 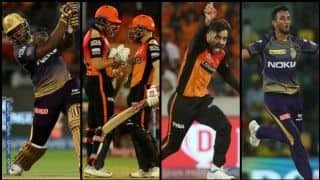 Joseph had a fabulous start to the IPL, picking up a record 6 for 12 on his IPL debut against the Sunrisers Hyderabad, which stands as the best bowling figures in the IPL. 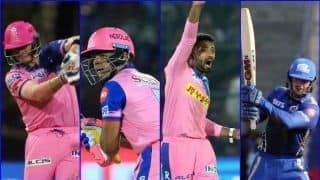 Getting picked ahead of the experienced Lasith Malinga, Joseph also took Mumbai over the line with the bat in a last-ball thriller against Kings XI Punjab after giving away 22 in two overs without a wicket. 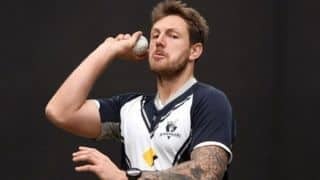 However, things went awry quickly for the young West Indies fast bowlers since that game. 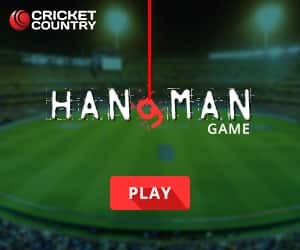 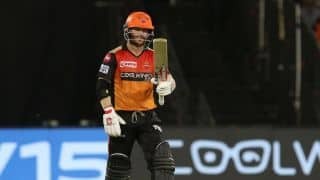 In the game against Royals, in which the injury occurred, Joseph bled an alarming 53 runs from three overs – 28 of which came in his third with Jos Buttler smacking him for four boundaries and three sixes. 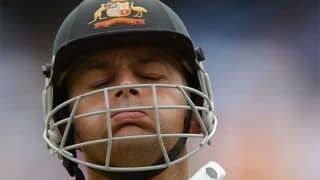 It was after his final over that Joseph injured his arm and was seen grimacing in pain before being treated to resume. 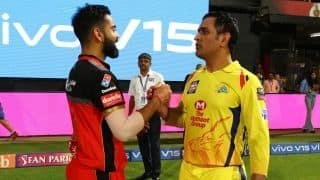 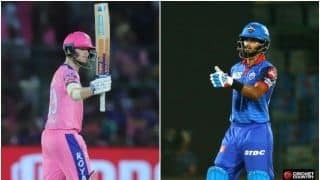 MI next face the Royal Challengers Bangalore at home before playing four away games and it is likely that the franchise will find a replacement soon.